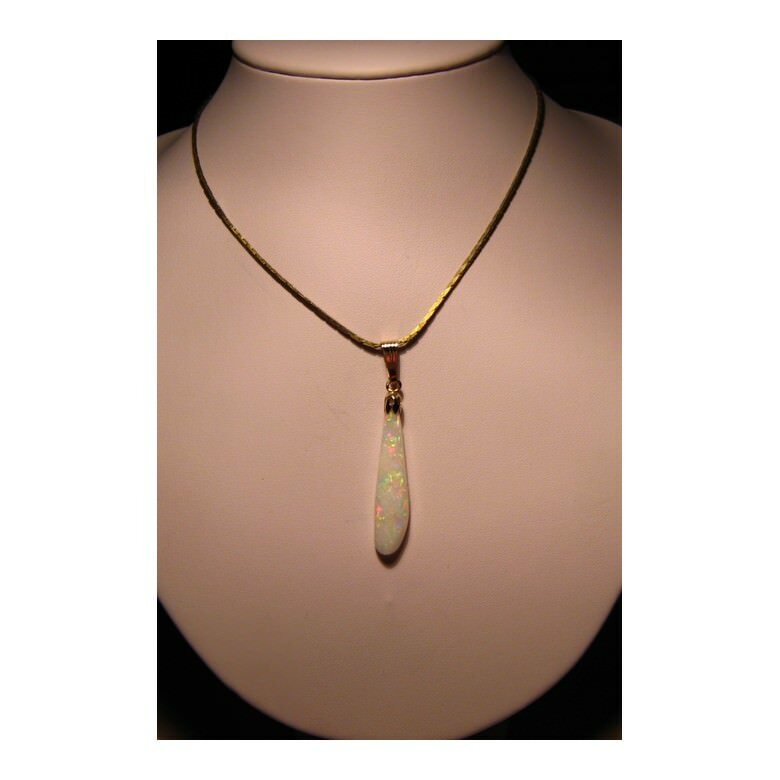 A rare Opal pendant being a fossilized Opal Belemnite with Red and Aqua set with a 14k Yellow Gold bell cap and bale. One only. 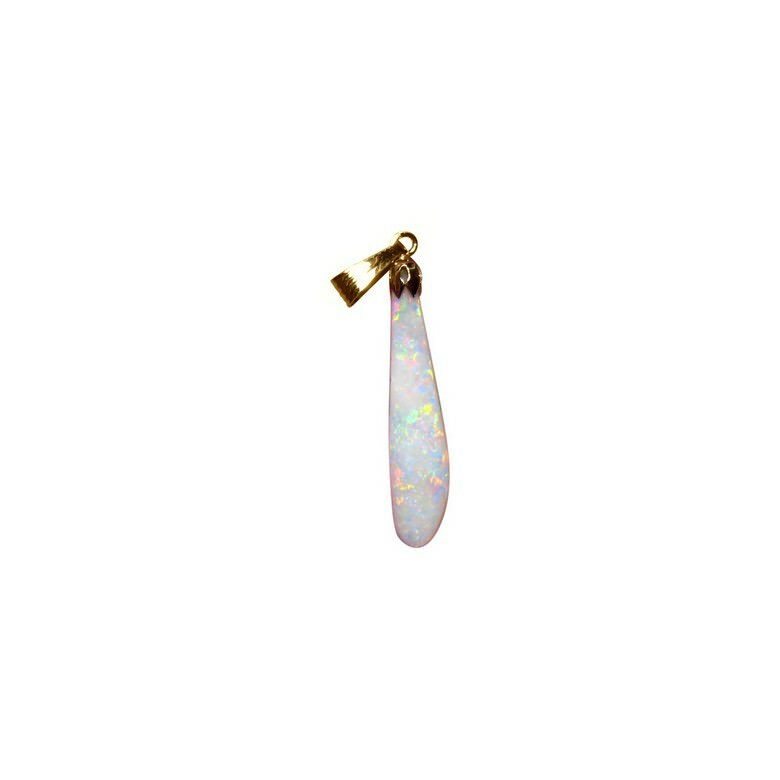 A large White Opal pendant with Red and Aqua set with a 14k Yellow Gold bell cap and bale. 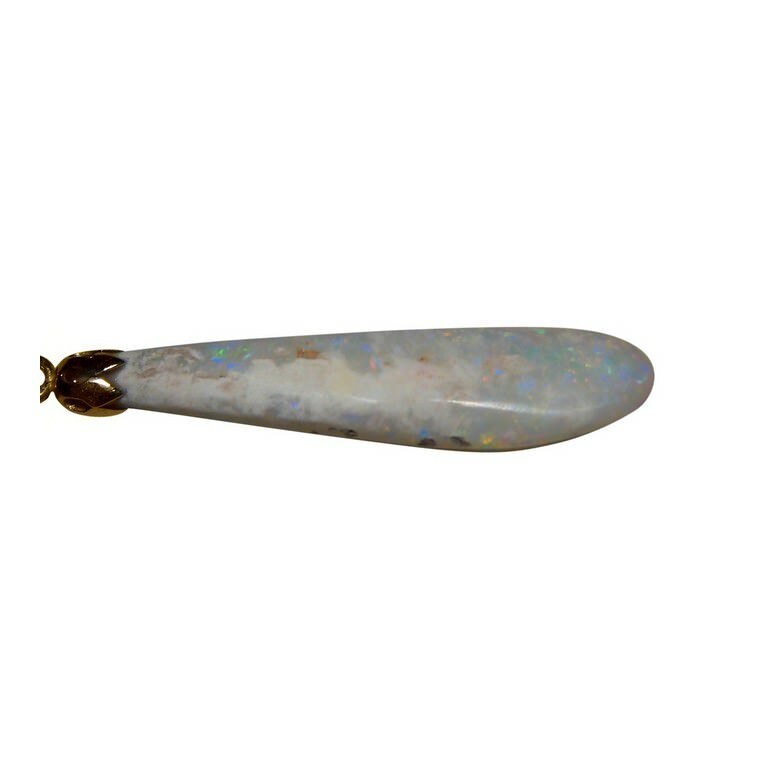 The natural Opal is a Coober Pedy fossilized Belemnite which is a rare find. Belemnites were sea creatures in the Mesozoic era - somewhere between 66 and 252 million years ago! - and today their relatives are squid and cuttlefish. 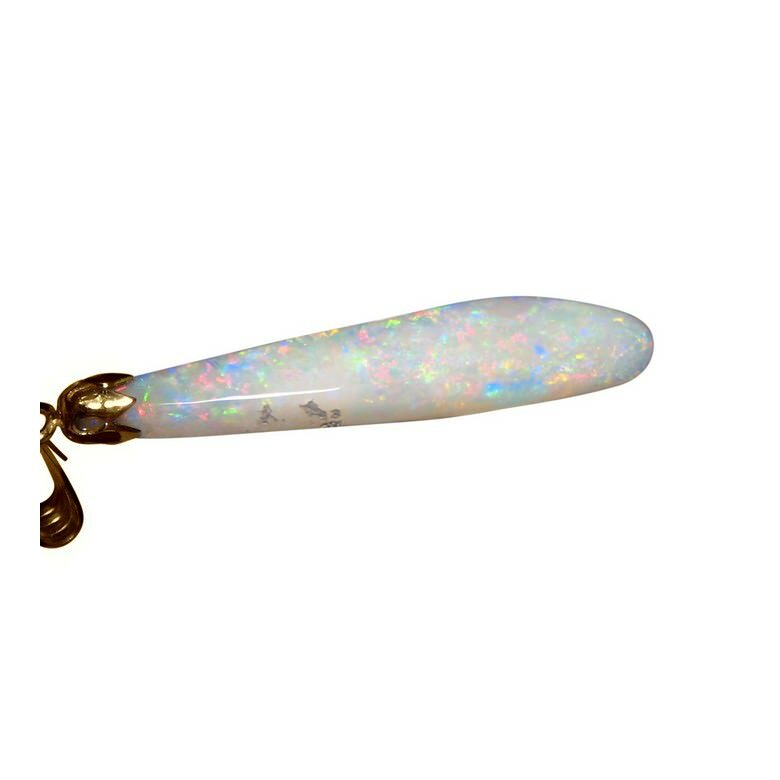 It has taken a very long time for this creature to become opalized which makes it very rare. 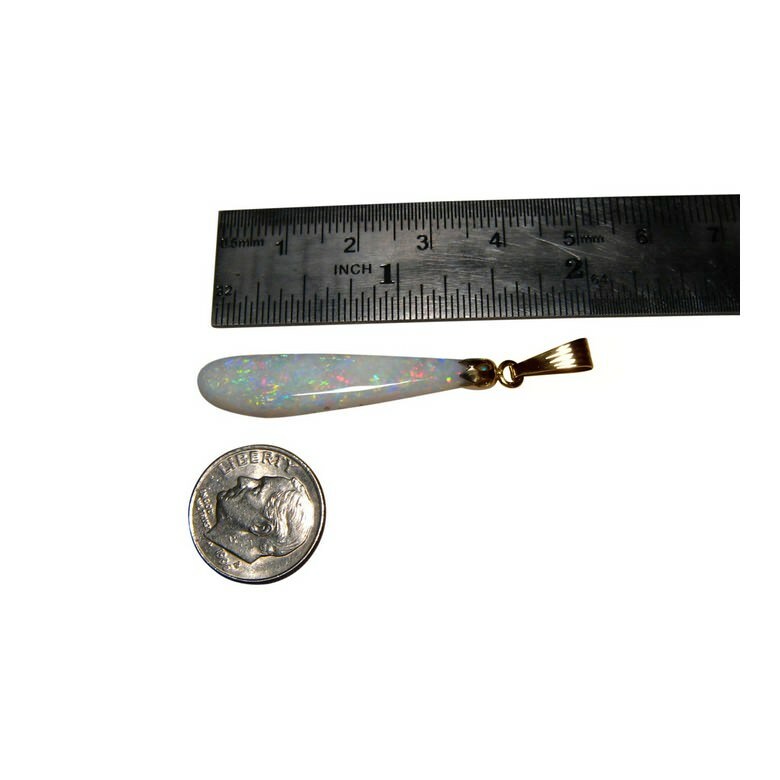 A beautiful rare Opal pendant that is ready to ship now. Please note the chain is not included. 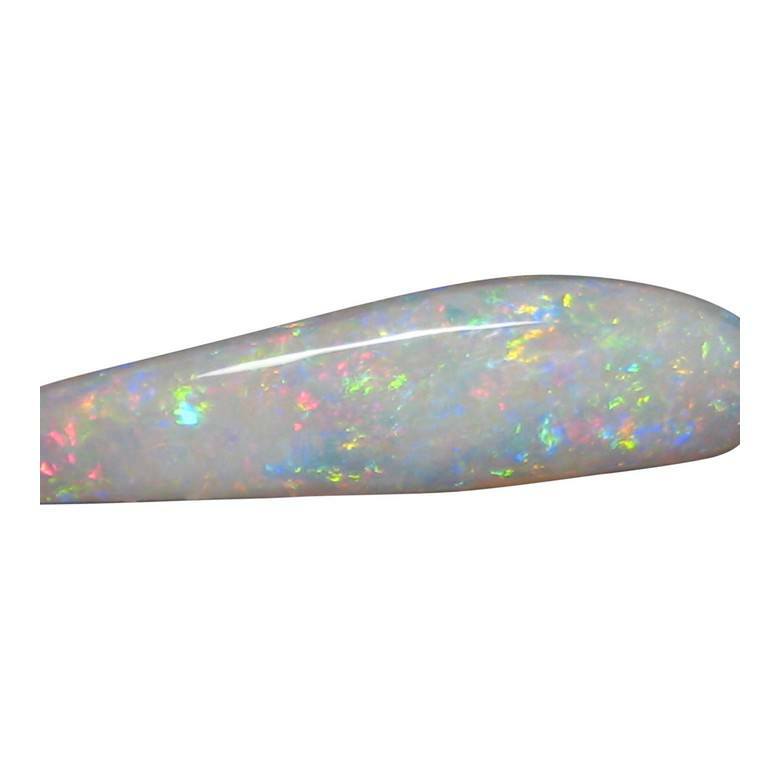 Excellent seller, stunning opal! Fast shipping! Thank you again! !